Jakarta, November 12th 2014 - Filling the gap for quality business hotels in South Jakarta, Archipelago International will soon be opening its latest Business & Conference hotel in Simatupang. More than three years in the making and set to welcome business travelers from March onwards, the Aston Priority Simatupang Hotel & Conference Center is the group's 6th Aston hotel in Jakarta and sits in a prime location in the TB Simatupang area on Jalan Let. Jend. T. B. Simatupang right next to the Indonesian headquarters of Switzerlandï¿½s Nestle and Siemens of Germany. TB Simatupang is a sub district of South Jakarta, located in the southernmost part of the city close to the Jakarta - Bintaro toll road. Conveniently for the hotel's business guests, the hotel is also close to the airport and the city's bustling CBD, making it the premier venue for South Jakarta’s social and commercial activities and the perfect location for short business stays, meetings and exhibitions. "Until now, South Jakarta has been missing an up market hotel which has caused many of the areas companies to pay a premium for hotel rooms or house their guests far away from where they need to be. Our newest Aston has been highly anticipated and forward inquiries have been short of phenomenal. The hotel will be a huge success and also be our 6th Aston in Jakarta alone, continuing our reputation as the fastest growing and most consistent hotel network in Indonesia. 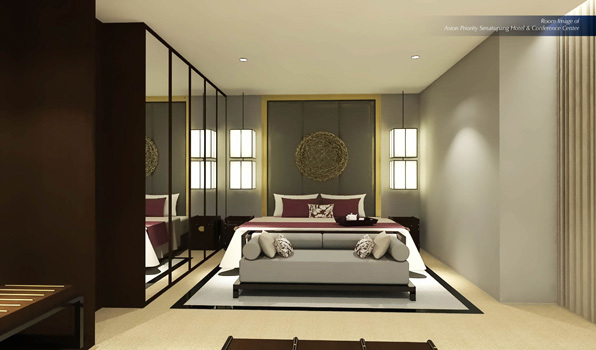 You can follow our development at our website, www.AstonHotelsAsia.com". Said Norbert Vas, VP Sales & Marketing at Archipelago International. 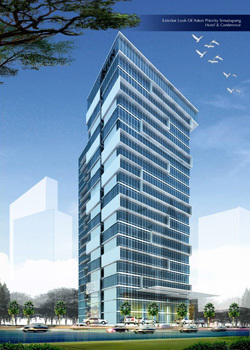 Exterior Image of Aston Priority Simatupang Hotel & Conference Center, TB Simatupang - South Jakarta. Hotel Room Image of Aston Priority Simatupang Hotel & Conference Center, TB Simatupang - South Jakarta.